Another one of my favorite spots during the summer is BG’s Boat House. 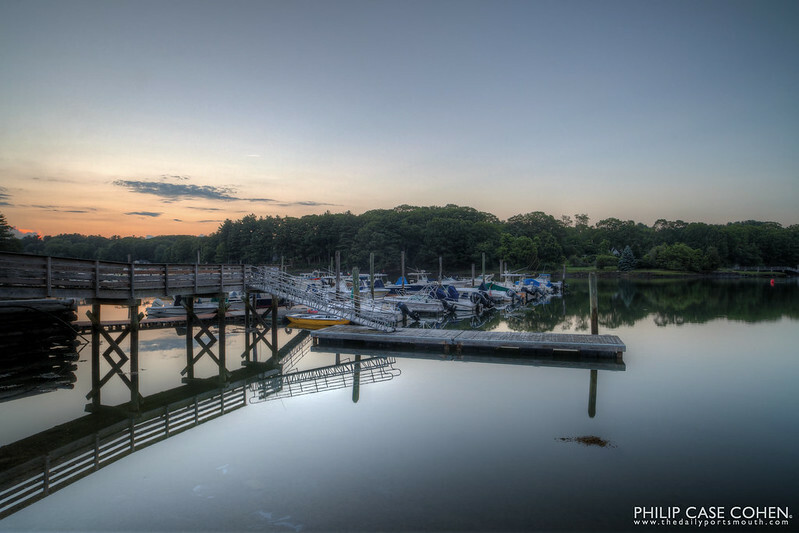 It’s a classic New England waterfront spot, a great place for seafood and for taking in a sunset. The muted colors at sunset made for a quiet scene. The boats in the frame are all docked at Witch Cove Marina – though we saw a few people come and go on the empty pier in the middle of the photo.